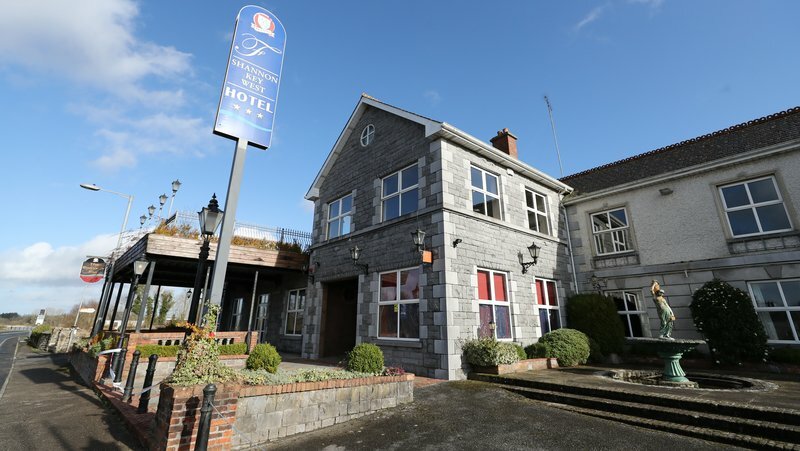 The Department of Justice has confirmed that a plan to provide an accommodation centre for asylum seekers at a disused hotel in Rooskey, Co Leitrim, will not now go ahead. An issue over the lease of the property, which was damaged in two arson attacks in the last four months, is the reason not to proceed. In a statement to Shannonside Fm this morning, the Department claims the decision was taken following legal advice sought from the Chief State Solicitors Office which found difficulties with the lease agreement between the owners of the hotel, and the operator renting it, which made proceeding with the proposed centre “unviable”. The department claims that it is not party to these lease arrangements and these matters are outside our control and the decision not to proceed was taken solely in relation to the difficulties with the lease. I'd say this is some relief for the locals down there. Hopefully we will find out more details about lease agreement. It was a complicated one owing to Paradub disputing the lease the hotel owner James Kiernan gave to the DoJ. Paradub had been under the impression a deal had been signed already with them to buy the hotel. Consequently some complicated arrangement had been made to go ahead with the plan to use it as a Direct Provision centre involving Paradub for one year. Now that has all fell through. Very good news for the people of Roosky, it also suggests that direct action by the people and arsonists will result in the government changing their mind. Will we see more arson attacks because of this decision ? One for the gipper as Ronnie would say. Seriously - go to Rooskey for a weekend lads and lassies. Carrick-on-shannon is up the road. Let them know how you feel. RTÉ is saying the cancellation had something to do with the architect writing to an bord pleanala. That's a very different reason to the one initially given. Can't get their story straight. That description under her name is just too much. That's what mad Leah is saying. That it's basically a victory for the 'racists' and 'arsonists'. Tbf, Leah looks like she's been on the wrong end of one too many Rothmans and Dutch Golds. I love how the media rush to this insane leftist cat lady to give an opinion that's somehow representative of feeling in Roscommon / Leitrim. Absolutely spot on! Somehow, in all their extensive reporting, OrTE couldn't find even one person from Roscommon/Leitrim who objected to the plan. It's like 'We need some local opinion on the asylum centre.. now who could we go to... what about that nutter catlady who was harrassing Grand Torino at the Roosky anti racism demo... she's totally representative of people in Roscommon-Leitrim'. RTE have been a joke for a long time.